1st glass window cleaning can bring your patio back to life using a high power industrial pressure washer. This pressure washer is far more powerful than the normal electric style of washers you buy for washing your car. We have a dedicated van just for this service. 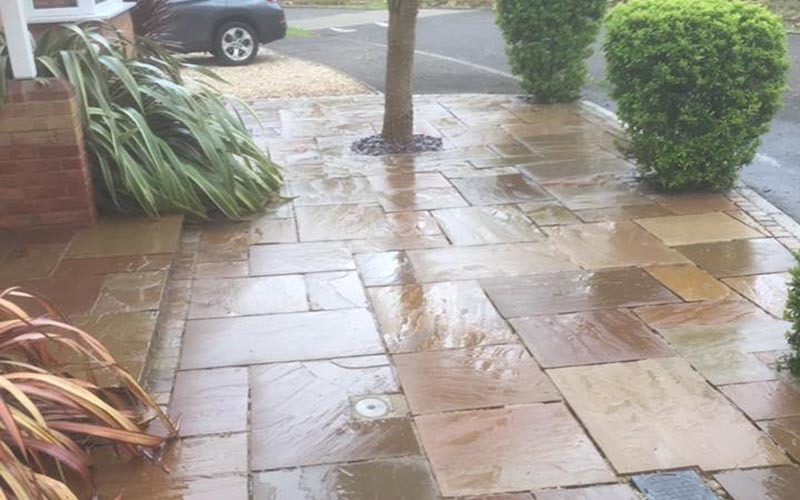 Due to the UK climate, your patio will need a regular clean every so often. At 1st Glass Window Cleaning, we provide patio cleaning services to residential and commercial customers in Thatcham, Newbury and surrounding areas. Our patio cleaning experts will completely clear and clean your patio to bring it back to life and almost as if it were new again. 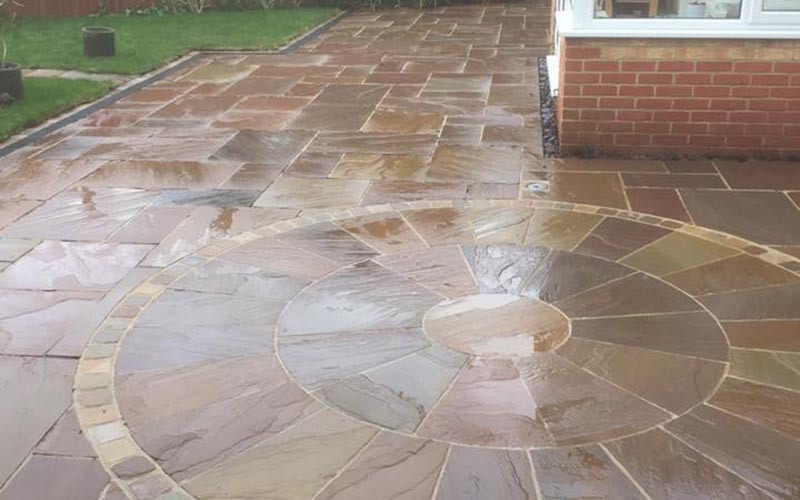 With the rain, sun and snow to deal with throughout the year, your patio can take a bit of a beating, so to keep it in good condition and looking nice, we suggest a professional patio clean each year in the spring and maybe another towards the end of the year. We will completely remove any weeds, grass, algae, lichen, moss and any other organic matter from your patio. The continual build-up of dirt and grime on your patio throughout the months can become quite an eyesore and can also make your patio very slippery to walk on. When you choose 1st Glass Window Cleaning to clean your patio, we will use the latest in cleaning equipment and eco-friendly chemicals as well as powerful pressure washers if need be to bring your patio back to life. Our pressure washers will blast through the dirt and grime as well as any weeds, grass and organic matter to completely clear and clean your patio areas. As well as removing all the dirt, grime and organic matter we can also remove any chewing gum from your patio areas. Your patio will look almost as if it had just been laid by the time we have finished cleaning it. 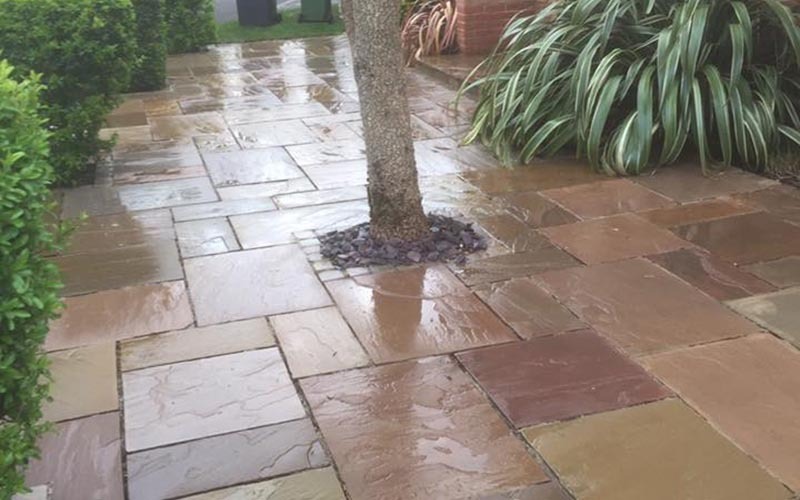 Any chemicals we use are completely safe for use on all kinds of stone, brick and wood to ensure that your patio is left in perfect condition and is safe to use.